Suitable for play, re-enactment or where an authentic period feel is required. 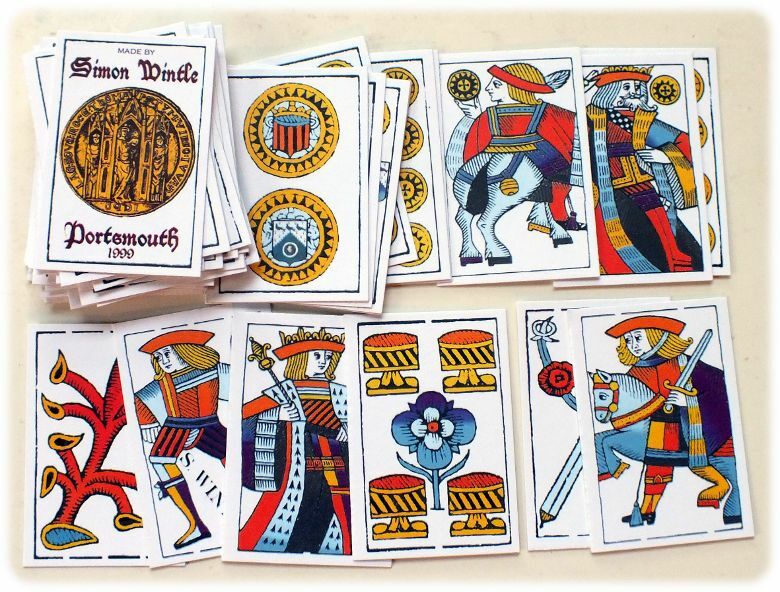 Decks are made up on two-ply pasteboard which reproduces the tactile quality of antique cards. Suits are Coins, Cups, Swords and Batons. 48 cards + 1 extra card. Reverse: plain. Size: 48mm x 75mm. 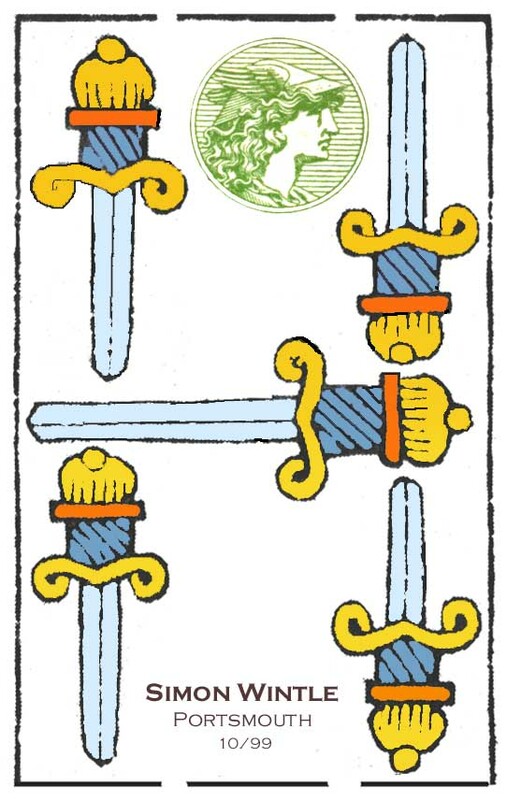 Click the five of swords to see an enlargement.